Dead Ubuntu Software Center walking. The Ubuntu Software Center is withering away. Canonical has silently discontinued the paid app store without informing developers, Ubuntu flavors are dropping it, and free software enthusiasts aren’t happy with it. It’s still fine for installing free software from Ubuntu’s software repositories—but it can be slow and clunky even for that. This wasn’t met by widespread outcry in the comments. The Ubuntu Software Center application is considered rather slow and outdated compared to the alternatives. Canonical’s Alan Pope expressed concern that there would be no way for users who purchased paid apps from the Ubuntu Software Center to reinstall them, but that doesn’t seem to be a real worry. Users already can’t access paid apps on the latest versions of Ubuntu because Canonical has abandoned this side of the Software Center. The Software Center is two things. First, it’s a prettier interface to the standard apt-get package manager containing free, open-source software. Second, it’s an app store that sells paid, often proprietary, applications. That app store side is no longer being maintained. Ubuntu app developer Michal Rosiak wrote a public message to Canonical on Google+ in early July, laying out his “deep frustration related to Canonical’s approach to developers.” He argued that Canonical had failed to make his paid applications available to users of Ubuntu 15.04 and newer versions. “I am currently hosting numerous programs on Ubuntu Software Center and two of the most profitable ones are still stuck on 14.04.” Michal says he tried to get in contact with Canonical via email, the feedback section in the developers panel, and other methods, and had been waiting for a month with no replies before he posted this message. In other words, Canonical is done with that desktop app store and is moving on to the new Snappy-based package manager. That is nowhere near ready yet, and even the next Ubuntu LTS release—Ubuntu 16.04—will only feature it as a separate option, with typical desktop users encouraged to use the more standard typical release with the Unity 7 and the old Ubuntu Software Center. 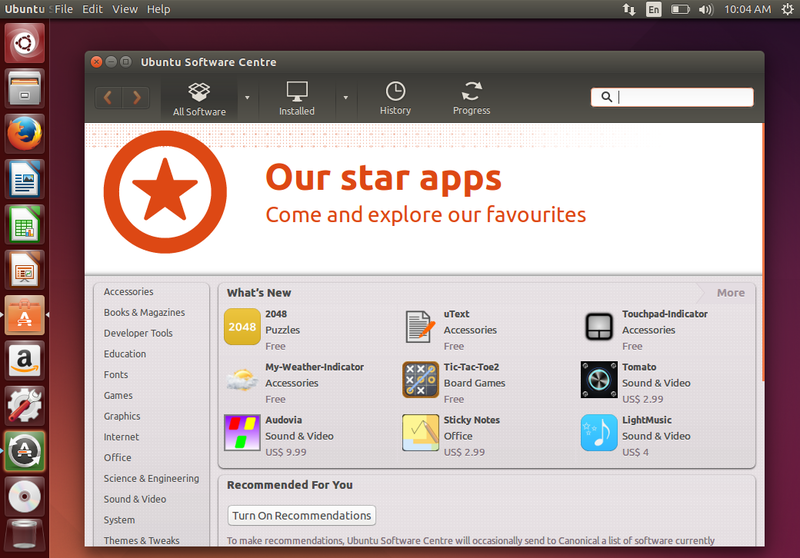 Developers will have to wait quite a few more years to target Ubuntu desktop users with paid apps again. While Canonical’s lack of resources are obvious and the choice is understandable, Canonical should have attempted to communicate this to developers in advance so they wouldn’t waste time and lose potential income by developing for what appears to be a dead platform. This particular developer now says he’s going to work on platforms provided by Apple, Google, and Microsoft—not by Ubuntu. 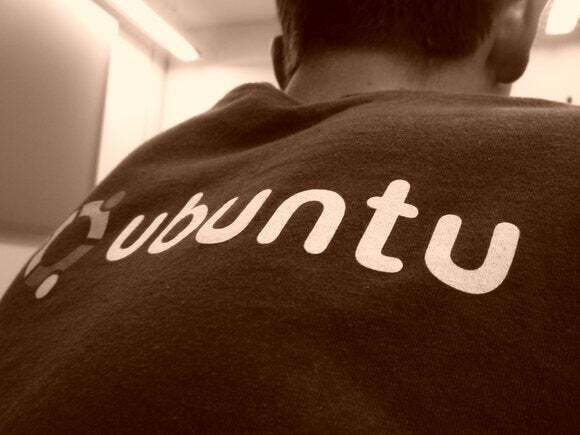 Quite a few Linux users feel Canonical has been focusing on Ubuntu for phones while largely ignoring the desktop most Ubuntu users actually use, and that certainly seems true here. This feeling is partly why Linux Mint has won so many fans. Canonical’s paid app store never appeared to actually take off. Before Steam was available for Linux, the Humble Bundle project partnered with the app store and gave away Ubuntu Software Center codes for Linux games, allowing users to download them from that centralized location. As part of this, Super Meat Boy was added to the Ubuntu Software Center. A year later, developer Ed McMillan claimed Canonical had sold Super Meat Boy for a year without permission and had yet to pay for those sales. Canonical’s David Pitkin said this was a miscommunication and Canonical would pay for all the copies of Super Meat Boy sold in a year—all 77 of them. This is a game that had sold over one million copies by the start of 2012. 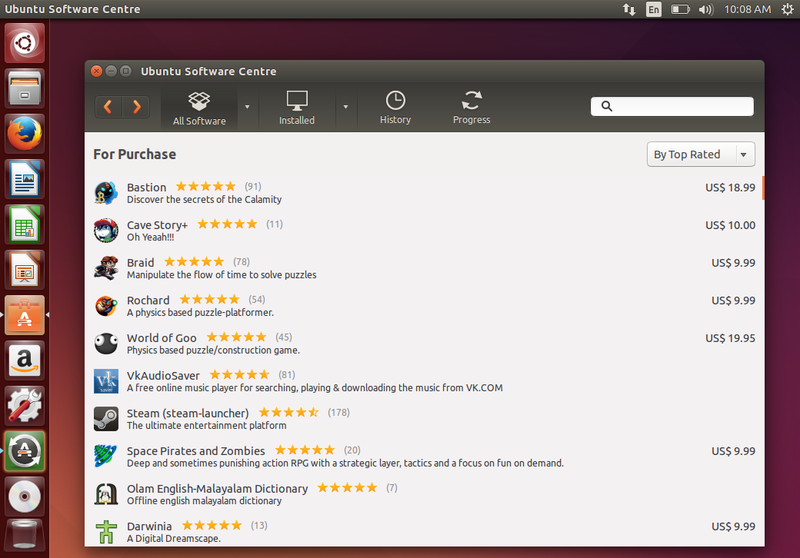 The Ubuntu Software Center’s sales were tiny. It’s unlikely paid app sales have picked up since this happened back in 2012. 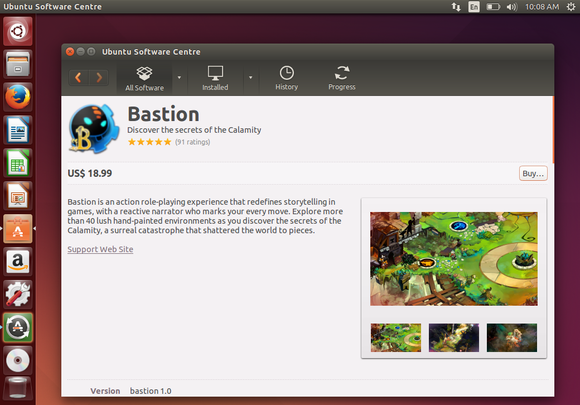 The game Bastion in the Ubuntu Software Center. There are other reasons to dislike the Ubuntu Software Center, too. Tony Mobily over at Free Software Magazine accused the Ubuntu Software Center of mixing proprietary software and actual open-source software without correctly labelling which was which. Packages are marked with “free” without clarifying what this actually means. Try to get the information by looking at details and you’ll be confronted by information like “License: Unknown” and “Updates: Unknown.” Rather than being malicious, this just seems like another sign of an app store ignored and left to rot. It’s a shame, because the Ubuntu Software Center still opens to a section titled “What’s New” with various paid applications available for download. Presumably, there won’t be any new paid applications added to there in the future.